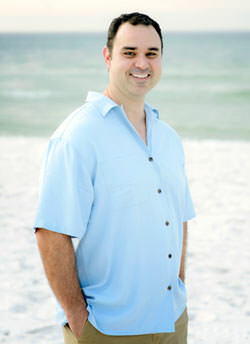 Ready to get plastic surgery in Panama City Beach? Experience excellence at every level of beauty enhancement — whether it involves plastic surgery, non-surgical treatments or comprehensive skin care. At Coastal Plastic Surgery Institute, we offer all three, and further customize the treatment to enhance the patient’s individual beauty and ensure that their goals for surgery are met — and then exceeded! Our board-certified and fellowship-trained plastic surgeon Dr. Andrew McAllister is an award-winning surgeon who specializes in making each of his patients look and feel their best. For this reason, Dr. McAllister has been honored with several awards during his career. But beyond being respected by his peers, he is also appreciated by his patients who have come to know him as a warm, compassionate and knowledgeable surgeon who ensures that they receive both the education and personalized care needed to feel confident every step of their procedure. At our Coastal Plastic Surgery Institute, we are aware that each of our patients is an individual. Our patients have different body shapes and sizes as well as different surgery needs and goals. We want our patients to feel empowered, both during the treatment process and when seeing their beautiful results. To achieve this level of personal patient care, Dr. McAllister will make sure that you are completely comfortable asking him questions, voicing your concerns and receiving all of the information you need on your procedure or treatment — from candidacy requirements all the way through recovery and what results you can expect. Because we work so hard getting to know you and learning about your goals for surgery, we are able to use this knowledge when planning a treatment that will best enhance your natural beauty and ensure that you get the results you dream of. Whether you choose breast implants, a facelift, liposuction, or a non-surgical procedure, you’re in good hands at Coastal Plastic Surgery Institute. Learn more about our body enhancement or facial rejuvenation procedures, or view a gallery of actual patient photos to see what type of attractive, natural-looking results you can expect when in our care at Coastal Plastic Surgery Institute. If you’d like to schedule a consultation to learn how you can get the same beautiful results, call us at 850-233-7674.